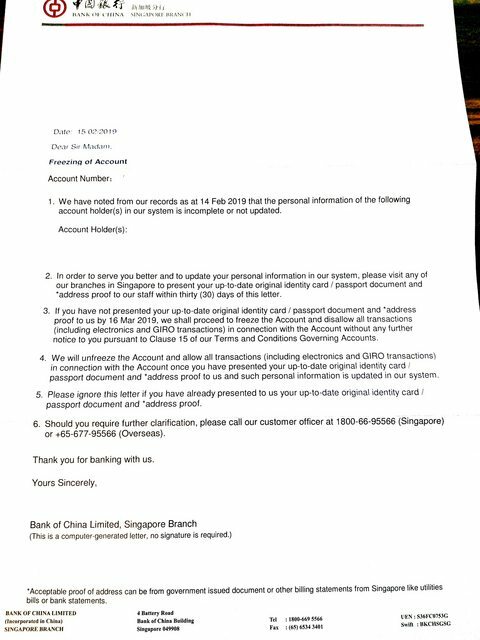 [SAGA] Bank of China threatens to freeze account over "incomplete records"
Colleague received a letter from BOC yesterday, saying that her records as at 14 Feb is incomplete/not updated. Account holder is expected to visit a branch within 30 days days to update particulars. If not, accounts will be frozen! Last edited by m/mink; 26-02-2019 at 03:27 PM..
Why is this a SAGA? Sinkie casualty of trade war? Open at counter in person, account is more than 5 years old. CECA back-office data entry screwed up? Your house is a cash laundry mart? Anyhow freeze acc? Then cannot withdraw money inside? That's what i suspected, did they screw up all the customer database that's why need customers to fill in all over again. She went out from 1pm until now haven't come back, send me the screenshot and tell me long queue at the bank! 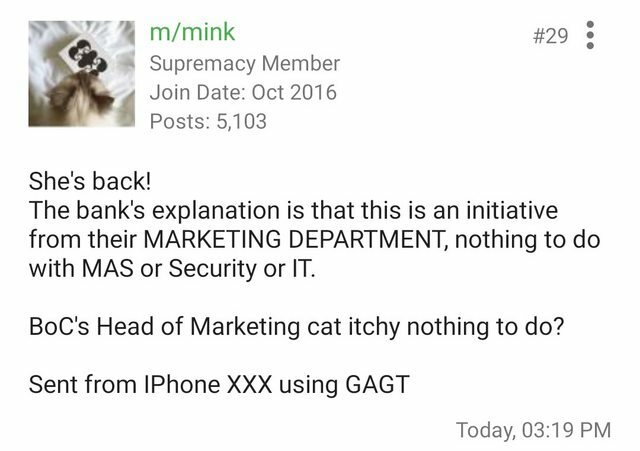 Maybe bank lost the records and push blame to users.